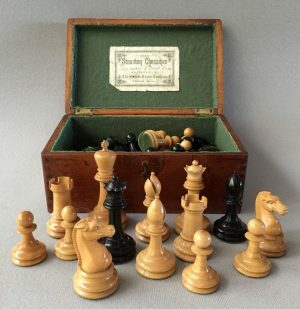 A set of reproduction British Chess Company Improved Staunton Chess Pieces, heavily weighted, with green baize base pads. The chess pieces are finished in a spectacular and Ivory Pearl and Red lacquered Boxwood. The King stands 4-1/2″ tall with a 1-7/8″ diameter base. 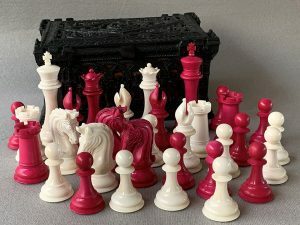 These chessmen are an exact reproduction of the Improved Staunton Chessmen offered by The British Chess Company is the early 1890s. 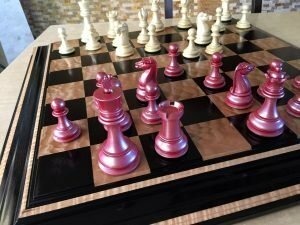 The redesign was executed by Frank Camaratta. 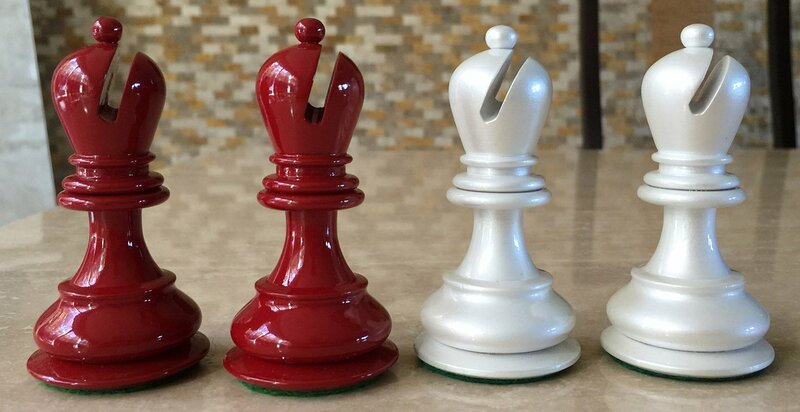 This is the only set produced in this finish. 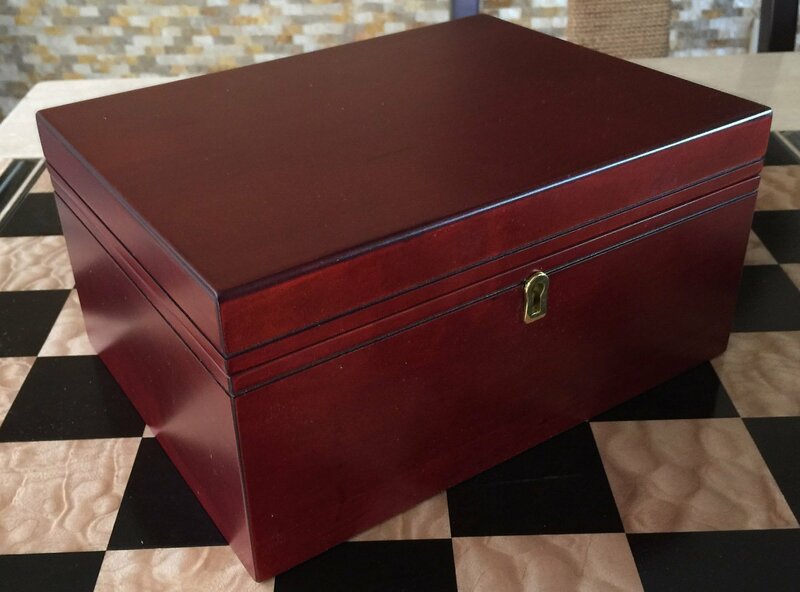 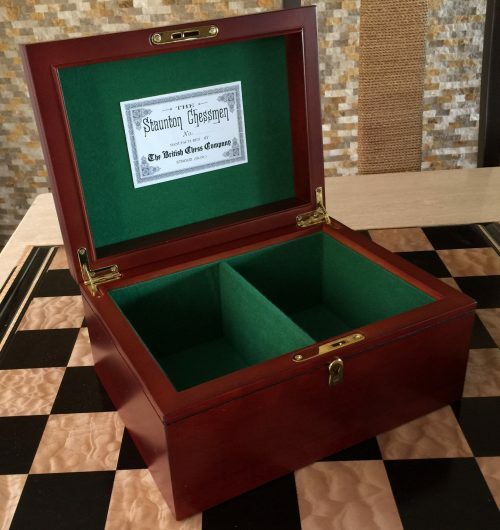 The chessmen are new and are housed in a Red Mahogany Premium House of Staunton veneered box with an authentic reproduction British Chess Company label. 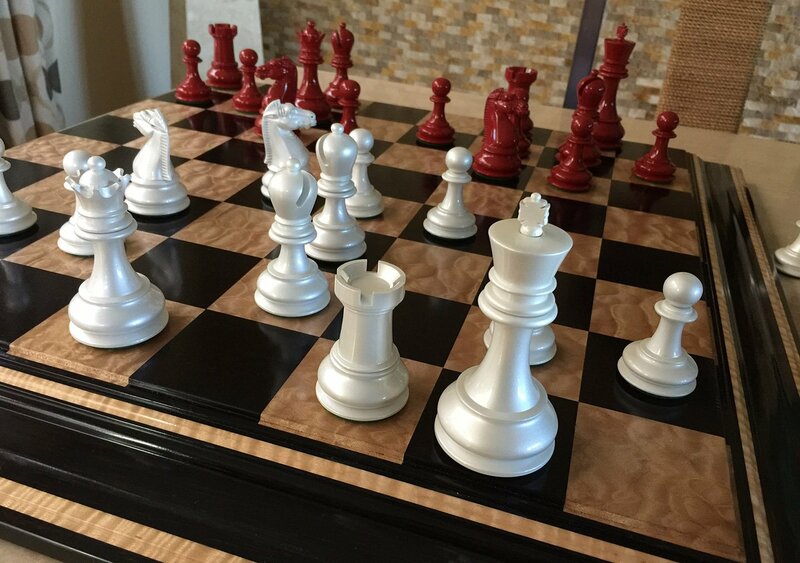 The Ebony and Popcorn Curly Maple Signature Chessboard with the solid Ebony frame and Tiger Curly Maple inlays is not included with these chessmen, but is available elsewhere on this site. 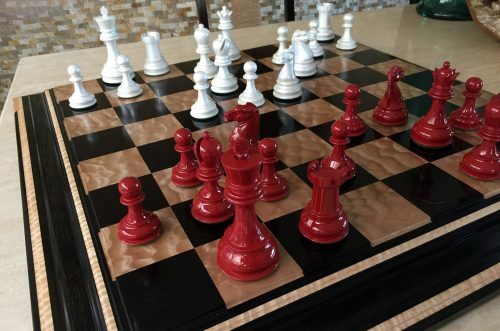 To see our extensive collection of new and antique chessboards, please click here. 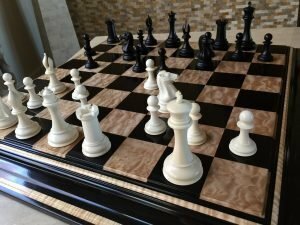 For some background on the British Chess Company click here.